Am i eligible for PO exam after scoring 42% in 10th and 64% in graduation? Am i eligible for PO in any public/government bank after scoring 57% in graduation? From where to get the study material? Am i eligible for jobs after scoring 51% in PU and 81% in 10th? I am in 5th semester with above 60% till now. Re: Am i eligible for PO exam after scoring 42% in 10th and 64% in graduation? Since you didn't mention any specific bank so i am comparing with it SBI bank.. I think you are not eligible for SBI exam for PROBATIONARY..
as minimum eligiblity criteria is One must completed his graduation with atleast of 55% aggreagate and 12th class with a percentage of 60% for probationary..
Public Sector Banks . (19 participating banks). is must rather than %age marks.......be happy..
No doubt,You can eligible to apply for S.B.I/S.B.I Associates Probationary Officers Exam,You can also Eligible for I.B.P.S Probationary Officers Exam. According to educational qualifications you can eligible to apply for Probationary Officers Posts. Maximum age limit is vary from one category to another category . Yes you are eligible for PO post because you have scored good percentage. 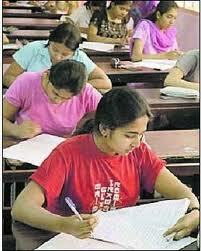 Now a days, common written exam held which is conducted by IBPS every year for po and clerk. After qualifying this exam you will get a score card. To apply for po through IBPS, candidate should be graduate in any decipline from recognised university.Age of candidate should be 20 to 30 for open category. Relaxation for sc/st/obc in upper age limit. some of othere will follow some other rules. some of the banks are follows the above rules. is more enough for some othere banks. I am neeraj gupta nd m 12th pass with scince 42% in 2012. I am 20 years old.